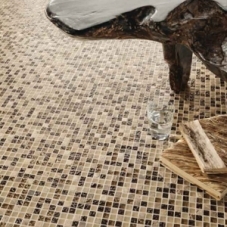 Marazzi is one of the world’s finest providers of Italian style flooring and wall tile, and also offers a variety of glass tile options as well. These products are very eco-friendly, using recycled materials and environmentally responsible procedures in their manufacturing process, so when your home is decorated with their fine glass tile, you can feel proud of yourself for both having a beautiful home and helping to save the environment. Now you won’t have to continue saving trees by limiting your use of toilet paper (eww) because by installing this lovely floor in your home, you have helped to make the world a greener place! If your home, much like you, has grown unattractive over the years, then you are going to need to fix the place up a bit if you ever want to be seen as a respectable human being. 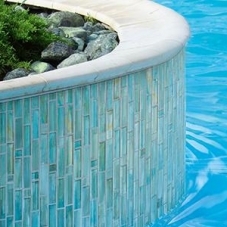 Glass tile is the perfect way to do this! 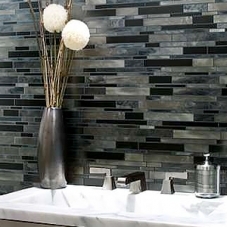 With glass tile applied in the spaces of your home it will be much more beautiful! Unfortunately, the same doesn’t work for you, because I’m pretty sure with glass tile applied all over you, people are just going to think you’re nuts. 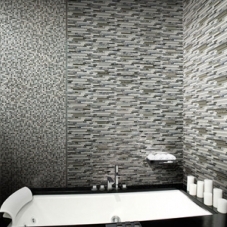 So go ahead and treat yourself by enhancing the décor of your space with Marazzi glass tile. There are many color choices, mosaics, and decorative wall accents to select from, ensuring that these glass tile options will look excellent in any home. Indulge in the beauty of this stunning glass tile today, and apply it in your home in order to completely revolutionize the elegance and class that your space displays.